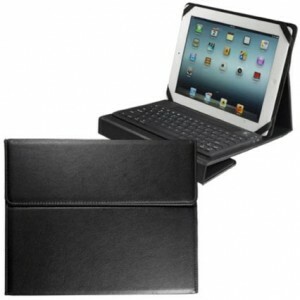 Pebble-grain faux leather iPad/tablet case with soft silica gel keyboard. Connects to your device using wireless Bluetooth® technology. 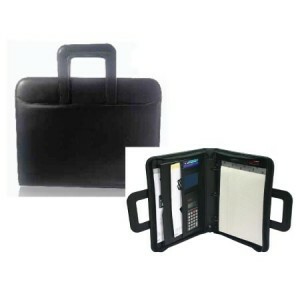 Includes ruled notepad, pen holder, calculator, card slots and interior pockets. 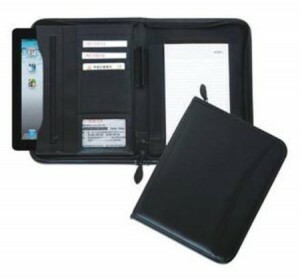 Portfolio features a padded front, an inside media sleeve for Ipads, tablets etc., a zippered pocket, pen holder and card slots. Perfect for both men and women. 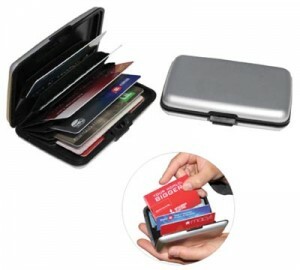 Seven expandable pockets to fit up to 10 cards. 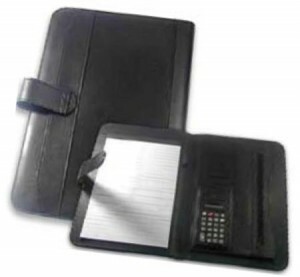 Protects cards from demagnetization while its functional design allows easy access to each card. Click-button for easy opening and closing. 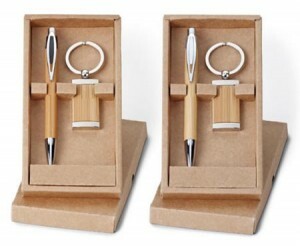 Includes a ballpoint pen and a bamboo key ring. 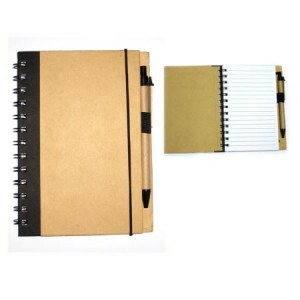 Eco-friendly spiral notebook and pen with elastic pen loop and elastic band closure. 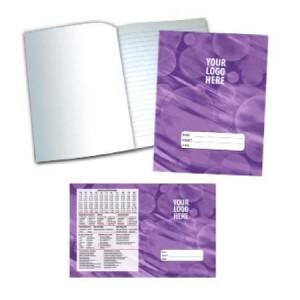 80 page lined recycled notebook. 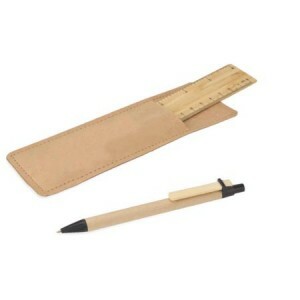 Matching pen has recycled paper barrel with wooden clip. 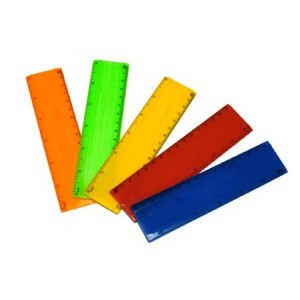 6” bamboo ruler with inch and metric markings, recycled paper pen and recycled paper pouch. 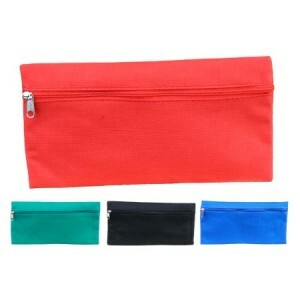 Suitable for cosmetics, school supplies and just about anything. Includes National Anthem, National Pledge, Map of Trinidad and Tobago, Tables, Name/Subject/Class, and space for your branding.